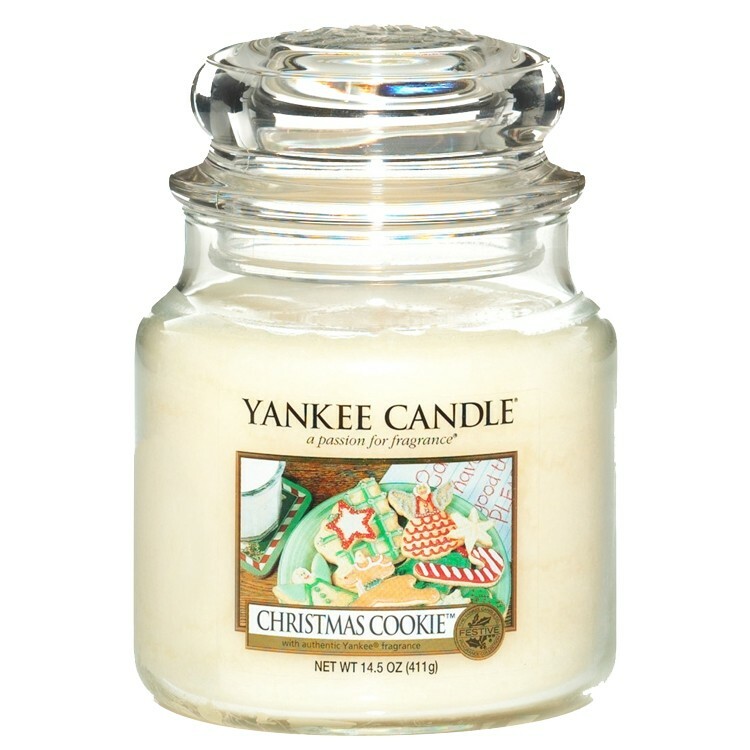 Yankee Candle ® Classic Medium Jar (14.5oz) Christmas Cookie seasonal Christmas buttery aroma, deliciously sweet scent, with a creamy hint of vanilla. Distinctive traditional Yankee Candle medium sized glass classic jar with a removable lid, self-contained for optimum convenience and safety. Yankee's classic glass jar lid also serves as a tight seal to lock in fragrance when the candle is not being used. Yankee's famous fragranced oils create true-to-life aromas that touch the senses like the real thing. This enchanting fragrance is going to make any seasonal home feel cosy and inviting, and put you in the mood for Christmas cooking!